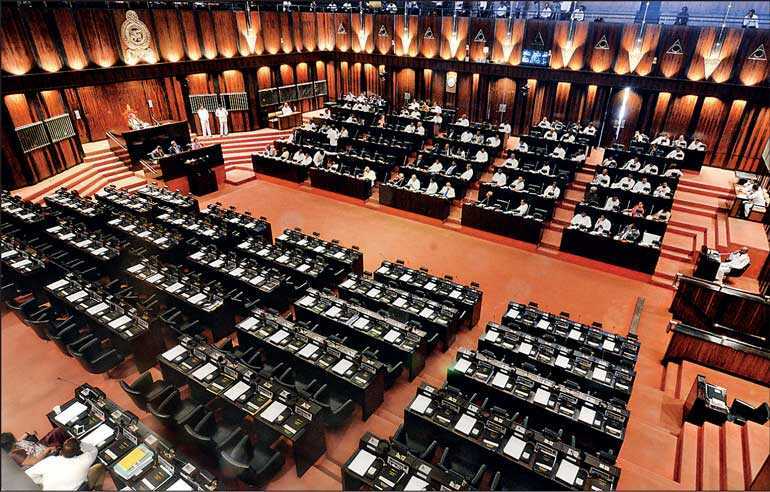 For long we have witnessed the recurring, unprofessional conduct and unproductive contributions from many of our undisciplined ‘Mace-raiders’ masquerading as politicians, who make a mockery out of august assemblies such as the Provincial Councils and the Parliament. The shattered and disillusioned voting public now crave for the selection of a decent, honest, ethical and a principled set of political professionals who will always place the country first in their agenda. In a country with a bleeding economy where the entire political administration system has become a massive cost centre with a negative return for tax-payers’ investment, this electoral reform in this election year is crucial and more urgent than a new Constitution. It merits mention that, our voters have consistently exhibited a fifth sense in changing Governments. But in regard to selection of individual candidates both the parties and voters have failed miserably. For example they have voted tele-drama actresses and cricketers beating experienced politicians. They have also defeated efficient parliamentarians and sent to Parliament, inexperienced candidates as well as candidates languishing in remand jail for criminal acts. Let us not hide the fact that the majority of our sincere and simple voters are swayed by temporary handouts/bribes in the form of cash and kind doled out by money throwing, notorious politicians. It is also unfortunate that some sections of our voters have an unusual flair for aggressive, village ruffians who resort to thuggery to get things done. In this scenario, the simple alternative is to abolish the abominable ‘Preference Voting’ (PV) system which is only an optional adjunct to the main Proportionate Representation (PR) system. This minute change will compel the respective parties to select and field their best teams of Political professionals in ‘District-wise merit order’ instead of the existing alphabetical order. As a result, the Parties themselves can muster their best District level teams who can be best used to achieve the goals of the country as laid down in their respective ‘Party Election Manifestos’ which of course should be made legally enforceable documents to rule out false promises. Towards this end, the political parties as corporate entities should be legally required by the Elections Commission to introduce a robust, unbiased and a transparent process of screening followed by a meticulously structured interview method to select their nominees. The screening criteria already set out by PAFFREL through the ‘All-party March 12 declaration’ surely had a salutary effect on party nominations at the last General election. Now, it must be further strengthened and given legal teeth by the Elections Commission. I suggest the following methodology to achieve the objective. 1) Strengthen ‘Paffrel’ pre-interview criteria with the following additional requirements. iii) Should produce at the interview, a less than one month old good health record certified by a Registered Medical Practitioner. This can be updated on the nominations date. iv) Should be below 75 years of age as at the last date for Nominations. v) Should furnish an asset declaration as at the date of nomination. The above is not an exhaustive list and more conditions may be added to achieve the citizen’s objective of deriving a reasonable return for their investment by having political professionals in the provinces and the Parliament. 2) Under the structured interview method, numerical values shall be adduced to ‘voter preferred traits’ such as multi-lingual skills, debating ability, social integration, political/legal/general knowledge, good moral character and acceptance to the society. Special weightage should be added to women in order to place them in an electable position in the District merit list of the party to fulfil gender representation requirement. Parties may add more value traits to improve selection quality. 3) The aforesaid sets of basic screening and interview criteria should be published by Elections Commission/Dept. well in advance of the date of Nominations so that parties can accordingly frame their pre-Interview screening process and structured interview methods. Thereafter, parties can complete the screening and interview process; prepare their preliminary ‘District wise merit lists’ of candidates and publish same in at least one national newspaper in Sinhala, Tamil and English before a specified date well in advance for public to lodge any objections with the Elections Dept. also before a specified date. In order to allow for deaths and removal of names from such objections, the parties should prepare and submit longer ‘District merit Nominee lists’ than necessary. 4) If there are valid objections conveyed by the Elections Dept. the parties should amend their lists accordingly, and submit the final District wise merit list on the nominations date. 5) The parties should certify the correctness of the pre-interview information to the Returning officer through an affidavit. Any, wrongful information or variance with the mandatory qualifying criteria should allow the Returning officer to immediately reject the name/s of such nominee/s. If disqualifications are detected after the election, voters should be allowed to challenge such elections through election petitions. If such petition is successful, ideally the next candidate in the ‘District Party merit’ list shall fill the vacancy. The above method when followed faithfully would compel the contesting parties to be very diligent and erase the perceived public opinion that the party leader is the sole selector of candidates. On the contrary, the parties are the best judges for selecting their team players in ‘District-wise merit order’. In this scenario, it is not necessary to surreptiously canvass for opposition party votes in the Parliament, as political professionals would inevitably decide what is best for the country after meaningful debate. Since of late, we have witnessed that such voting is possible in the Parliament but with dubious means due to the absence of political professionals with country at heart. Thus, in this election year we as sovereign citizens appeal to all genuine politicians, Elections Commission and civil activists to support this proposed system of ‘modern representative democracy’ as an utmost priority. Such action will ensure a professional and a productive political administration system in Sri Lanka, where MPs chit system, cross-overs, ‘hung’ or ‘unstable’ Parliaments would relegate to the limbo of forgotten things!